If you believe that government cuts are not the way to deliver the future that this country needs, then you need to let your feet do the talking. Join us on 20 October at the TUC mass demonstration in London to show this government that their austerity agenda is standing in the way of delivering the jobs and growth that this country needs. UNISON believes that investing in good public services that save, protect and enrich lives will boost our economy and strengthen our communities. 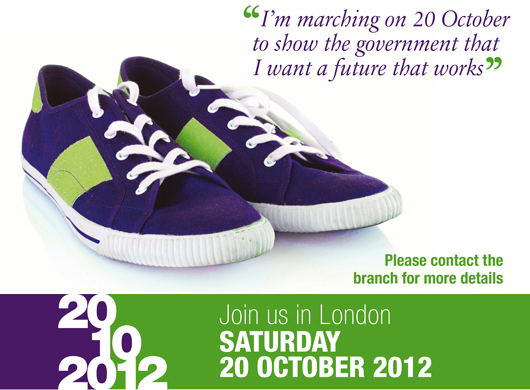 If you’re a UNISON Pennine Care Branch member, you can register for free transport to the event. Please visit our signup page and leave your details, and we’ll be in touch with further information.